Wushu is an important component of the cultural heritage of China, with a rich content that has remained untarnished over the centuries. Literally translated, “wu” is military, “shu” is art. Wushu therefore means the art of fighting, or martial arts. Previously, Wushu figured significantly in the simple matter of survival through China’s many wars and political upheaval. Today, wushu has been organized and systematized into a formal branch of study in the performance arts by the Chinese. It reigns as the most popular national sport in the country of 1.1 billion people, practiced by the young and old alike. It’s emphasis has shifted from combat to performance, and it is practiced for its method of achieving heath, self-defense skills, mental discipline, recreational pursuit and competition. To describe wushu, it is best to understand the philosophy of its teaching. Every movement must exhibit sensible combat application and aestheticism. The wealth of wushu’s content, the beauty of wushu movements, the difficulty factor, and the scientific training methods are the song of the elements that set wushu apart from martial arts. Routines are performed solo, paired or in groups, either barehanded or armed with traditional Chinese weaponry. In short, wushu is the most exciting martial art to be seen, felt, and ultimately practiced. How is wushu related to kung fu and Taiji quan ? 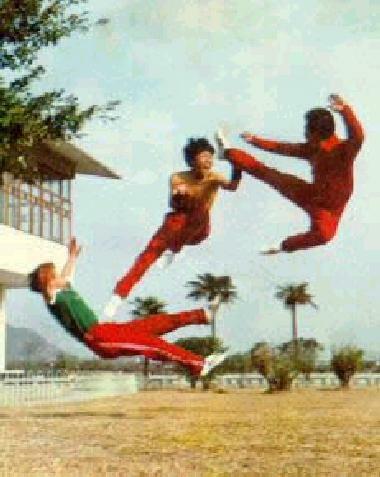 Wushu” is the correct term for all Chinese martial arts therefore kung fu and wushu were originally the same. During the last thirty years, wushu in Mainland China was modernized so that there could be a universal standard for training and competing. In essence, much emphasis has been placed on speed, difficulty, and presentation. Consequently, wushu has become an athletic and aesthetic performance and competitive sport, while “kung fu” or traditional wushu remains the traditional fighting practice. Although still in budding stages in many countries, wushu is an established international sport. In 1990, wushu was inducted as an official medal event in the Asian Games. Since then World Championships have taken place with 56 nations participating. Wushu will most likely be featured in the 2008 Summer Olympics. What is the difference between Wushu and Kung-fu ? The literal translation of Wushu is martial arts, while the literal translation of Kung fu is time spent with work. One of the biggest problems in understanding martial arts is the improper use of terms. Perhaps a clearer way to look at the term Kung fu is to express it as “squired skill level” So the term Kung Fu can be used to describe anyone who has a high level of skill in any endeavor, but it takes on a special meaning in the world of martial arts. As a result of many films and television series the continued use of the term Kung Fu has simply come mean Chinese martial arts for most people, even some Chinese use this term to refer to martial arts, but this is a result of popularity of the word, mostly from Hong Kong films. The relationship between the two terms can be more specifically looked at as Wushu simply being the root, and kung fu is a proficiency of the skills therein. I.e. the ability to apply those techniques as a result of diligent study, practice, and applied experience. With the factors one can be said to have Kung Fu. Isn’t competition Wushu just a flashy dance sport, and useless in a fight ? This question is one that usually gets people’s pride all worked up, but if you want to look at the question squarely, yes. Competition Wushu is just forms and series of movements. If you only practice the form without further investigation, then those techniques perhaps will not help you in a true fight situation, Please note that I said “without further investigation” any form from any style, any movement for that matter is absolutely useless unless one trains to use it in a situation. So if you only train for forms competitions without asking how can I apply this move, yes it is useless in that sense, but Wushu will give as much as you want. If you want to use moves of a form then one must study and investigate their uses, then practice them. only then are they useful, even in Boxing, on can shadow box all day, but without proper knowledge of how to apply the punch it is just throwing out your arms in away that resembles a fighting technique. So reasonably speaking if you want it to be useful you have to work to make it useful. What good are forms to a martial artist ? There are many uses even for those who have no desire to compete. Firstly, practice of forms builds the basics of martial arts. In any style learned. Beginning with on stance, then a technique later stringing them together into lines, and eventually full sets. No martial artist can progress properly without proper attention to basic techniques. Forms develop these skills to ready the practitioner for trials ahead. Beyond this form practice is an incredible cardio vascular workout, it pushes the athletic potential of the body. Mental focus is also developed. Learning sets of complex maneuvers is a great mental task, and increases mind body coordination and opens neuron-pathways. Coordination, balance, speed, strength, flexibility, timing are just a few of the qualities which set training reinforces. Aren’t there many useless wasted movements in Chinese forms that aren’t used in a real fight ? As most experienced fighters will tell you, you can’t practice a set or form that will show you how to deal with every combat situation. This has to do mostly with athletic condition, reflexes, strength, some luck, and much experience. Forms give you a physical and mental foundation, and in most cases if you want to learn how to fight, you have to actually fight. Experience is the only real teacher of how to get off your techniques effectively. Training can only prepare you so much, but form training, especially Wushu, will give you certain physical advantages, such as a broader range of movement, additional strength, and fluidity of movement, all of which are never useless. What are all those low stances for ? To strengthen your muscles and build a strong mobile base. Strength in awkward positions makes normal positions that much stronger, again a broader range of movement is also acquired. Are there belts, levels, or dans in wushu ? There are no belt systems in Chinese martial arts. Some schools may rank their students, but this is only within the school itself to help a teacher keep track of student and has no official international credit. How long does it take to get good ? This is up to you. There is no set time. But you have to be realistic. Many people watch films and see an apprentice gain skills at an alarming rate and pull off amazing moves with minimal training. First realize that those are films for entertainment. Most of the actors have had those skills for a long time and worked long to get them, and the really amazing Skills, are usually achieved with wires, smoke, trampolines, and a great deal of good film editing. If you want to be good, you have to train with everything in your being. It is not a good idea to set time limits. A common mistake is for people to say “I want to be at a certain level by this date.” While it is good to have goals, it is hard to limit yourself to the amount of time one has to achieve a certain skill level, and in most cases, this actually slows progress, as one tends to overlook the small but important details to achieve larger superficial results, thus leading to an eventual breakdown. Be patient. Work hard. Ask questions, try to improve on every lesson learned. Then improvement comes surprisingly fast.